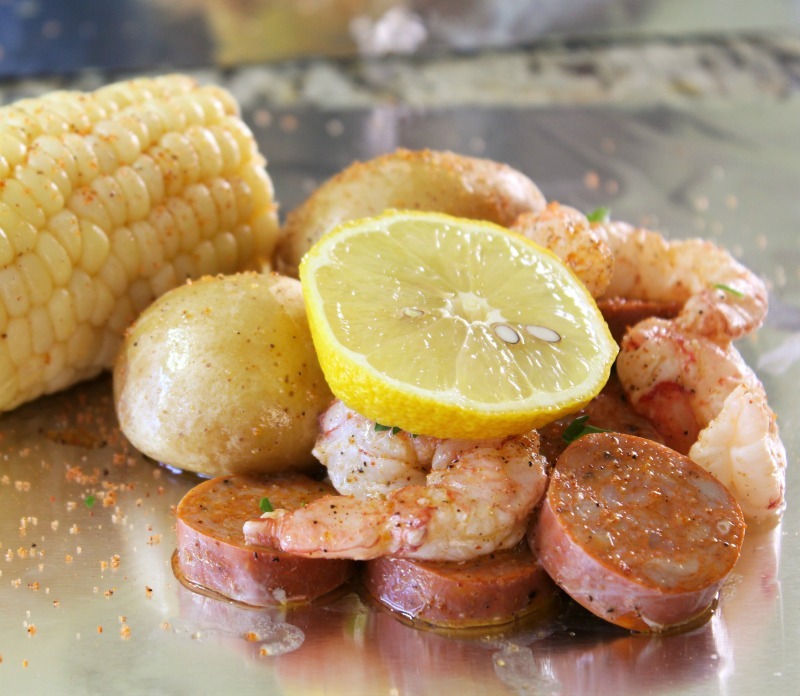 One thing I love, love, love is Cajun food. Every since my trip to Louisiana I fell in love with Cajun flavors. 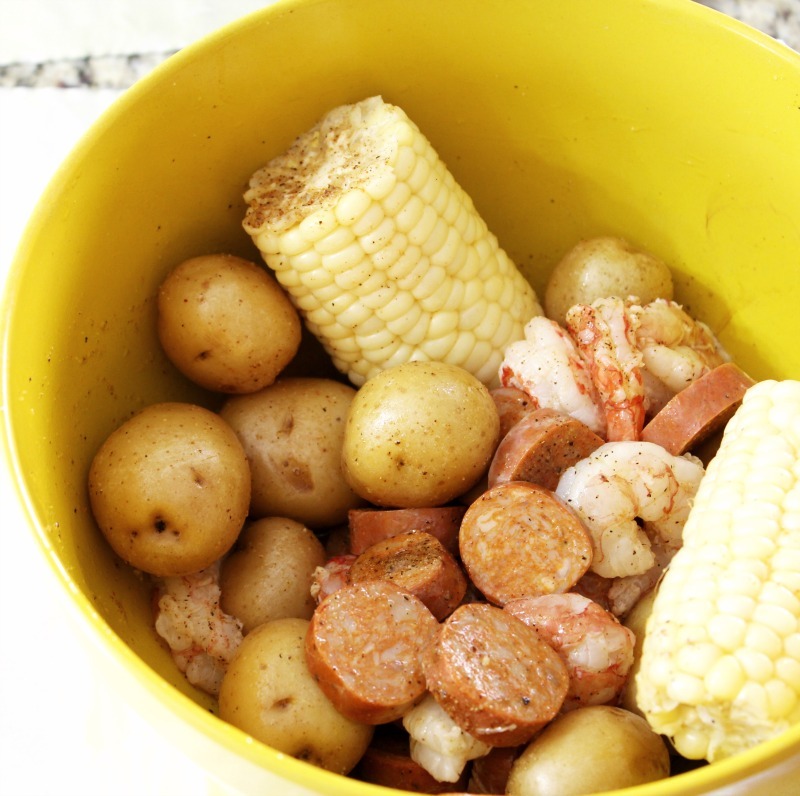 One thing I have always wanted to do is make a seafood boil. I see it on TV all of the time and I tell myself that I have to try that one day. The only problem is with 2 people that’s an awful lot of food. So today I decided to make a scaled down version that takes no time to make at all. 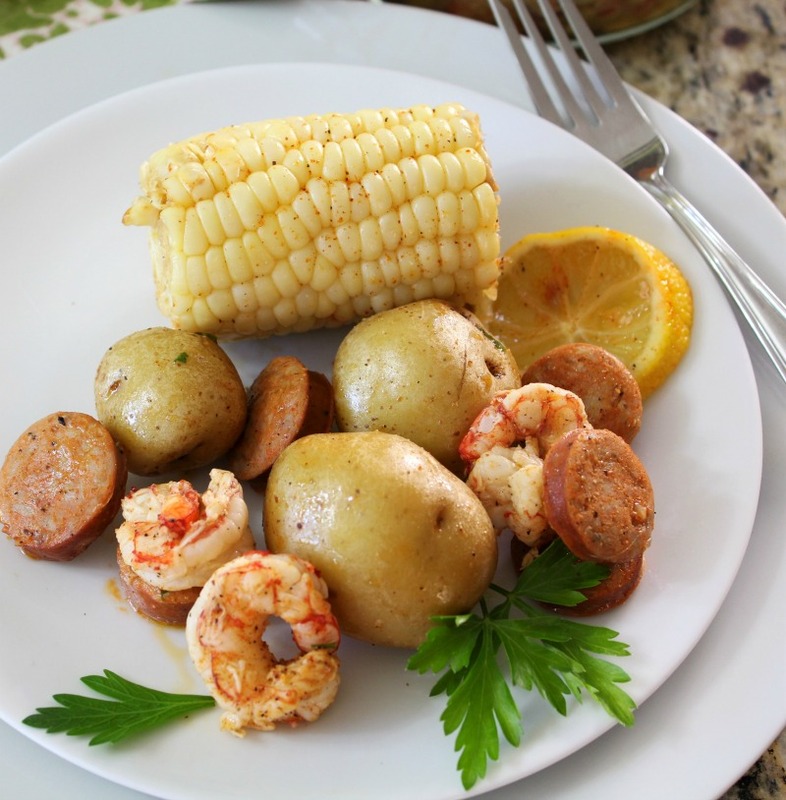 I have for you my Grilled Shrimp Boil. This dish is so easy to make. 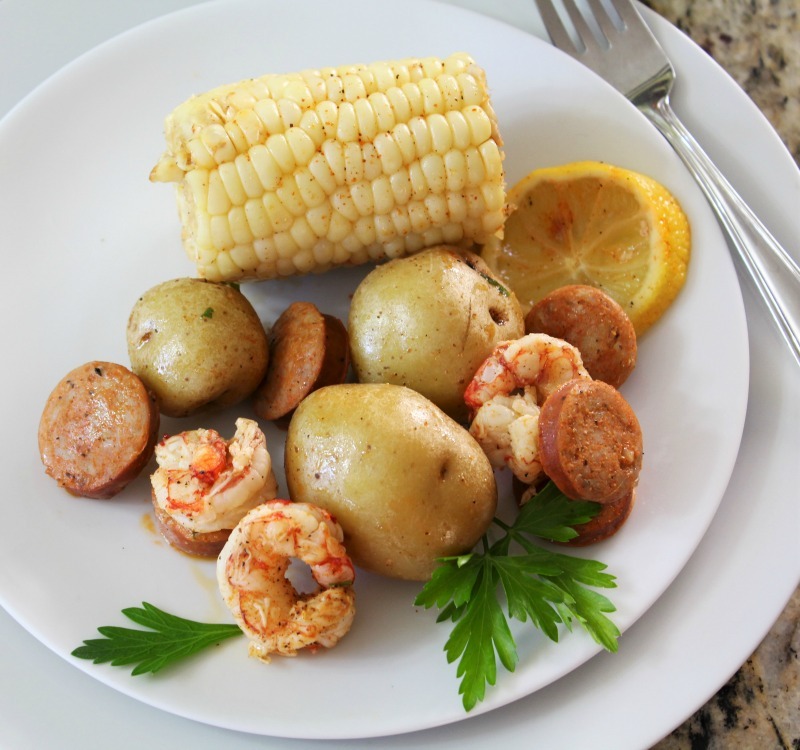 It has cooked shrimp, tender potatoes, chicken Andouille sausage and corn on the cob. I am so happy how everything cooked so well together. I was a little nervous about that. The meal is so filling and pretty low in calorie considering everything that I added to the recipe. This is the perfect weeknight meal, all you need is a side salad. I had it with my Tomato & Avocado Salad. The first thing I did was cook my potatoes and corn for about 15 minutes. While that was cooking I prepped the rest of my meal. In a bowl, I added my shrimp and sausage. Once the potatoes and corn were done, I added it to the bowl. I mixed in my cajun season, olive oil and lemon. 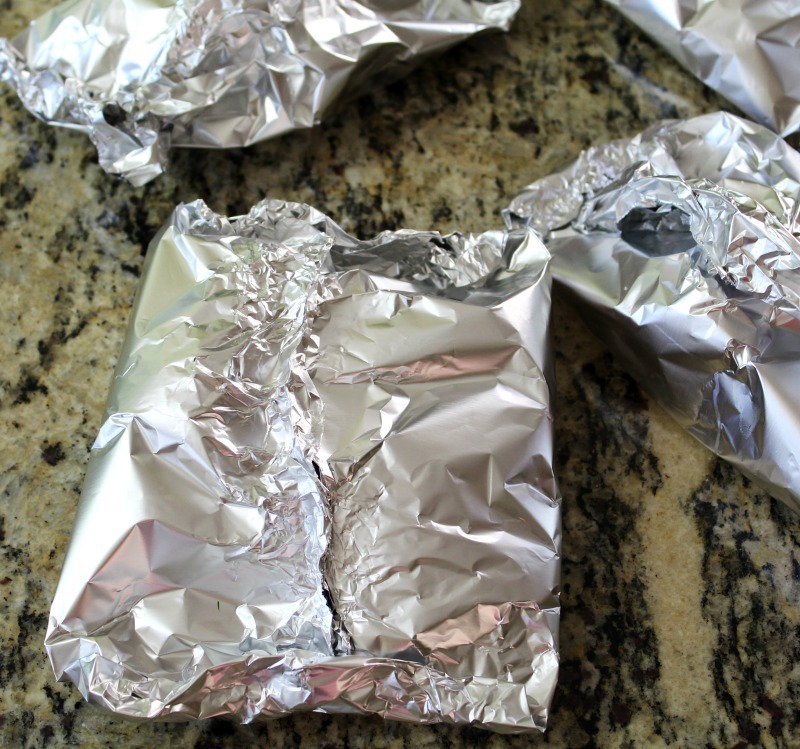 I put my foil packets on the counter and evenly divided the mixture between them all. It’s like a nice assembly line. Once everything was on the foil packets, I drizzled it with a little more olive oil, and topped with a slice of lemon and added parsley for color. I sealed up my packets and placed on the grill. You don’t have to make the packets perfect, just be sure it is sealed up so it doesn’t leak and the food steams. Finally the moment I have been waiting for. Time to open the packet. Oh the smell of the seasoning. I’m so excited. Wait for it…. here it is. Just the perfect amount for good portion control, plus the corn was so tender and the shrimp was perfectly cooked. The whole dish comes together beautifully. I just need a Hurricane drink to complete the meal. 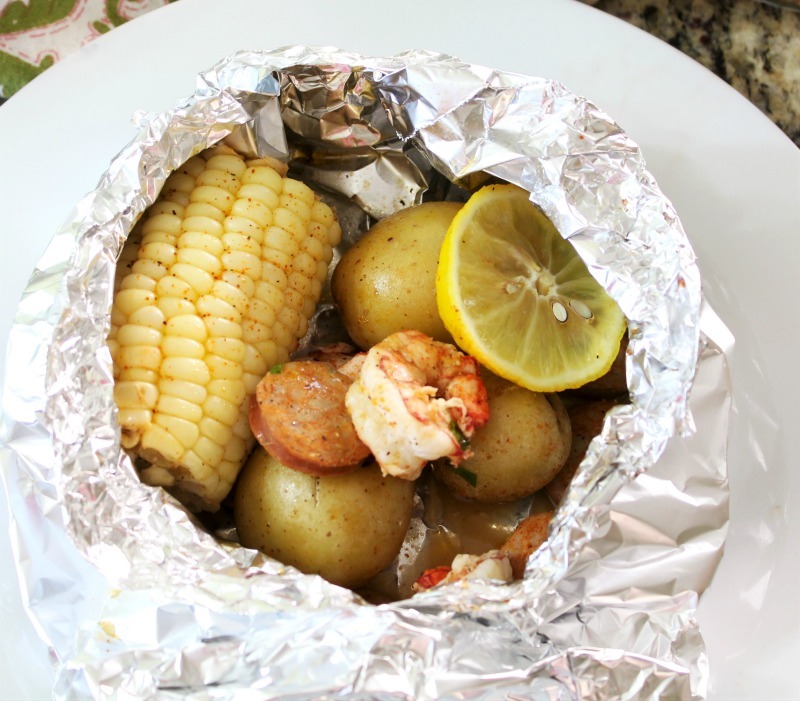 An easy cajun dish served in a foil packet made with potatoes, corn, shrimp & sausage. In a large pot add potatoes and corn. Fill with cold water to just cover the vegetables. Over high heat, cook until potatoes are fork tender; about 15 minutes. Drain potatoes and corn and place in a large bowl. 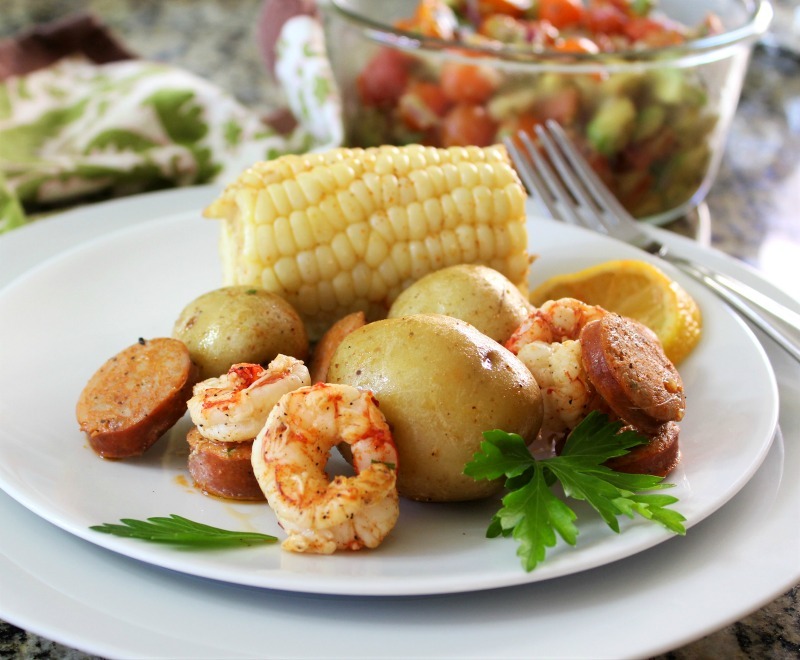 In the bowl, add shrimp, sausage and 1 tablespoon olive oil. Mix until everything is coated. Add cajun seasoning and lemon juice. Mix until combined. Evenly divide the mixture in the center of each foil packet. Drizzle olive oil over the mixture. sprinkle with parsley and add one slice of lemon to each packet. Place on grill and cook for about 15 minutes. 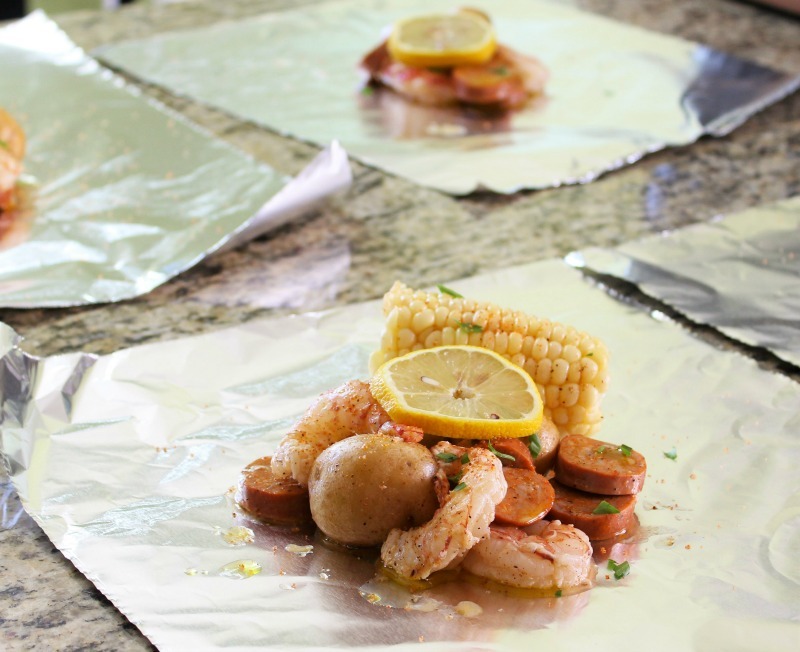 Take off the grill and place each packet on 4 plates. I had the worse time finding raw, uncooked shrimp. I like to buy Trader Joe’s brand, but they have been out for weeks. My grocery store has it, but it’s $25 a pound. I can’t see paying that, especially since I live near the ocean. Finally I went to Trader Joe’s and they had shrimp, but it was Argentina Shrimp. I figured I would try it out. It’s a little more tender then normal shrimp, but that is because it’s more like lobster. I loved it and it was only $9.99 a pound. That is more like it. Well that’s it for me. Have a great day!